by Dave from The Longest Way Home ~ May 2nd, 2013. Updated on December 5th, 2013. Published in: Travel blog » How to live overseas » Nepal. How to get a job in Kathmandu Nepal? Before going any further I should point out that this article is mainly in relation to a “foreigner” seeking employment in Nepal. Though given the mass of Nepalese also seeking employment anywhere in Nepal there are some equally pivotal points of note here too. To the non-Nepalese I urge you to understand that Nepal is one of poorest economic countries in the world that’s been struggling to form a constitution for a ridiculous number of years now. For those looking for just the factual outlines here’s a guide to working & living in Nepal. Meanwhile below there’s a more detailed look at the realities of living and working in Nepal. To give you an idea of the working standards in the capital of Kathmandu I’ll recall an electrician call out so you can see what you are dealing with. A fuse box is broken in a country where power rationing at its worst is for 20 hours. The Nepalese home owner calls an electrician that’s been recommended. A man on a bicycle arrives fairly promptly. The slender old man sporting a line of white stubble has no tools other than a small screwdriver. He goes to the broken fuse box and flips some heavy switches. A sharp snap sounds. He pushes his screwdriver in at an awkward angle and some blue sparks burst out. He speaks only Nepalese and the rough translation is that a fuse needs to be replaced. When asked the price of the job the electrician writes out a few notes. Included in the notes are prices for tools he will need. Apparently his screwdriver is not the right size to undo a fuse. Yes, tools are included in the price. Whether this man is a genuine electrician or not is another story again. The house owner jokes that he is not. If he was a genuine electrician he would own a pliers too! That is the real scenario for the majority of everyday workers in Nepal today. There is however another side to workers in Nepal today. One that’s been becoming even more commonplace over the past five years. Large companies started by both Nepalese and foreigners are improving on the qualified work being carried out within the country. Indeed hidden in the quagmire of Nepalese business listings is an electrical company that has “qualified electricians” and equipment as part of their service. One can presume the alternatives on offer are really just a man with a screwdriver showing up. Many of these qualified workers have gained their qualifications or experience overseas and have returned to reasonably well-paying jobs in Nepal. Secretaries, accounting staff, builders, electricians and many other vocational jobs in Nepal pay more for people who have overseas experience. Where are the majority of these people getting their skills and education? Mainly India. If however you come from a wealthy family then Europe or the U.S.A are the real prize destinations for qualifications and / or skills. The Middle East fits in too, but mainly as a destination for earning money and sending it back rather than improving one’s status back home. A few Nepalese entrepreneurs know that there is a richer class in Nepal who want qualified work done. And will pay top rates for it. The vast majority of Nepalese can’t afford their rates though so they must stick with the electrician with a “screwdriver qualification”. A woman leaves her housekeeping job in Kathmandu for a cleaning job in Saudi Arabia. Her son of eleven is left with her sister. She will be gone for three years before her contract allows her to return for one month per year thereafter. Her hope is to afford a better education for her son. Not an easy task. Aside from above the financial details she must also battle the caste system in Nepal and actually save money to send back to her family. The hope is her son will get a better education that will then allow him to get a better job overseas. From there he can earn money to send back to the family in Nepal. His own children will then be educated overseas, garner and education and return to Nepal and set up their own businesses. That is prospect for one of many Nepalese families these days. It will take a few generations but the they’ve seen the results from others. It takes time to accomplish. But if it works the family will one day not have to worry about surviving as they do now. Planning a trip to Nepal and a visit to Kathmandu? For all the details on what to do, places to visit, photos, costs, accommodation and itineraries check out my travel guide to Kathmandu. The large majority of “western” foreigners earning good wages in Nepal are working in development or diplomatic services. 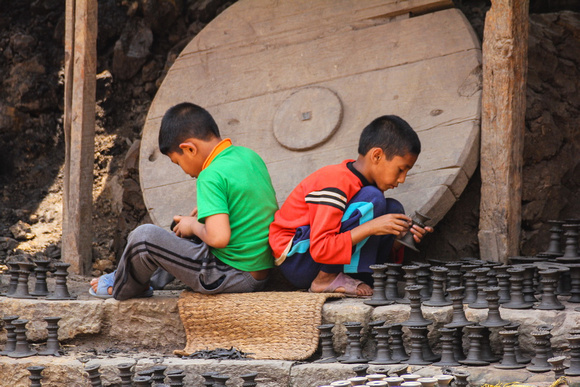 Nepal is known as a “hardship” country so regular salaries are often compensated with additional local wages to help them cope with day-to-day living. Such additional wages are used to cover things like hiring a driver, cook, cleaner, additional security and for dealing with the additional expense of purchasing expensive imported foodstuffs. Indeed having an insight into this high-end “expatriate” lifestyle I can tell you that so-called “hardship” countries often have long queues of diplomatic and international aid staff waiting for such placements. The perks are very alluring. If you can speak a language that locals can’t and you can fill a niche in a market are you doing more harm than good? 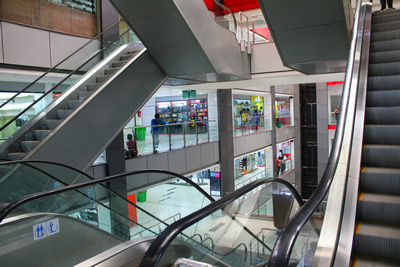 Within the “western” expat community in Nepal are several people who have set up small businesses. Some are the spouses of the above segment of workers while others are people who either want to help communities or create their own profits. Several expats open NGO’s to help developing communities cope with issues such as street children, medical aid, shelter and food houses. Sadly many of these NGO’s are often set up by well-meaning people with little or no experience in these fields and only last for short periods of time. Other “western” expats have set up for profit businesses within the tourism sector. 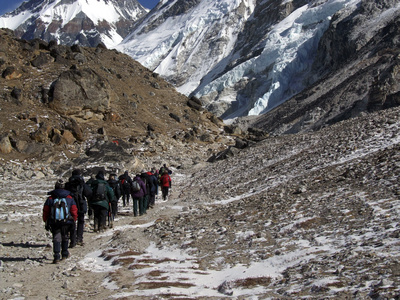 These include trekking agencies, paragliding, rafting, exports and import businesses. Some of this is again poorly run. There’s little sustainability in many of these businesses. Should the foreigner leave then the business often falls into a state of poor service due to no one being properly trained on running it without them. A prime example of this is a rather well to do restaurant in Kathmandu. When one half of the ownership left the restaurant it was left faltering. While this can be true in many types of businesses around the world, when living overseas the process is often magnified. As an interesting sub-note to the above I and others have noticed a substantial backlash against foreigners working in Nepal. Diplomats and large aid organisations seem exempt. Many Nepalese today feel that foreigners have no right to take the jobs that they can do. Good point. However it’s not as simple as that. As an example there is a French man who brings over French only speakers to go trekking with him every year in Nepal. He hires a local guide and porters. He’s being accused of taking jobs away from local guides. His reply “Can you speak French to these people?” The answer is no. Though there are a couple of Nepalese guides who do speak French it’s not enough. This man is filling a gap in the market. Do I agree with the way he is going about it? Actually from a personal level I don’t. The man is obnoxious, egotistical and paying locals minimum wage. But, from a business stand point he is filling a gap that cannot be met locally. If he stops, then about 30 paying French people will not be coming to Nepal for 4-8 weeks every year. The economy as a whole loses out on that money. 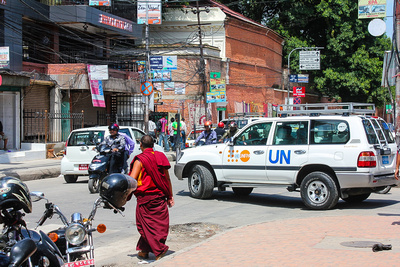 Big new UN car in Kathmandu – work for them or pay to volunteer in a Monastery? This, by the way, is one of the reason TAAN wanted to ban solo trekking in Nepal. Again it’s not as clear-cut as that due to TAAN also profiteering on this industry. However local Nepalese people are seeing people like this French man as those who are taking jobs from them. Even if in fact he is bringing jobs and money to them. 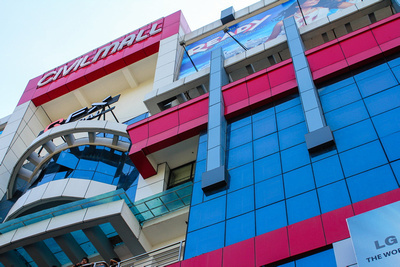 Many new businesses in Nepal are being created by Chinese, Korean and Indians. Many come over, or elect a family member to come over, to marry a local woman. Now with residence they can set up their own business or buy property in Nepal through their wives. Once legally married companies can be formed and relatives from overseas can come over to work for them. To the tourist this is most apparent in hotels. However many service industries are popping up with non-Nepalese management and indeed ownership. Yes, technically by way of paperwork the business is owned by a Nepalese person. But the power behind it is certainly not Nepalese. Last year China bank was given government permission to open in Nepal. Many Nepalese run businesses and economists have said it will open the flood gates for more “hidden” Chinese investment in Nepal whereby the money earned in Nepal will not stay in Nepal. In this my return to Nepal I have to say I have found this type of foreign investment in Nepal to be the most worrying and evident. The repercussions are evident even in tourism today. Overseas business owners are hiring “their own” as management and local Nepalese as basic workers on minimal rates with poor working conditions. Back to grass-roots work in Nepal to help it improve. Though I’m not going into the whole how to get a volunteer job in Nepal in this article or the terrible corruption that’s going on within this “industry” here. I will write about it in a later article. There’s an older article about volunteering and NGO corruption I wrote here. UPDATE: Here’s a new article about volunteering in Nepal. For now I will only say that is you are coming to Nepal to volunteer then don’t pay for it. Simply do some qualified research on the service you wish to help in. Make sure you are already qualified to help. Book your ticket, fly here, take a walk around Nepal and interview agencies yourself. Exceptions would be those seeking positions with internationally recognized volunteer organisations – I’m generally only talking about UN, UNHCR, WHO here. I’ve simply seen far far too many under qualified people pay ridiculous sums of money to “volunteer” in order to help the Nepalese people. Firstly be very wary of recruitment agencies that ask for upfront payments prior to interview. There are many out there. I’ve yet to come across a genuine recruitment agency that asks for money other than from the employer. Print newspapers such as The Kathmandu Post & La Republica often have job listings – though they are usually looking for qualified Nepalese nationals. Finally check out your own international aid organisations that are established in Nepal. Getting a job from home to work in Nepal is a lot easier this way than applying once in country. Whenever one looks at working for profit in a developing country one has to look at the moral and ethical side to the equation as well. Is it right to take a job from a local person that could equally do the same job? Remember the French man who comes to Nepal every year to lead trekking tours. He markets this business in France to French-speaking clientage. He hires locals in Nepal to act as assistants and porters. The problem here for me is that it’s not sustainable. This particular man pays his workers basic wages and doesn’t particularly treat them very well. He has however found himself a niche market. Some would say he’s exploiting the Nepalese people while others say he’s treating his staff no different from a Nepalese employer of a high caste would often treat them. Looking at many of the international aid organisation and diplomatic staff deployment packages I see salaries, benefits and perks that put many a western job to shame in terms of salary scale. I then see a Chinese business man exploiting Nepalese builders only to send all his profits back to China. At the end of the day is there a difference between any of these jobs? One can only hope that the political system in Nepal gets resolved soon otherwise there may simply be no Nepal left for anyone to work in. Planning on booking a hotel room in Kathmandu? Looking for the best online rates? I recommend you try my own hotel search for Kathmandu. The best online rates guaranteed! The Chinese are ruthless. This is why they are successful in buying everything. The price is so much more than financial though. Yes, the fact that management is often Chinese and regular workers in many cases doesn’t bode well for the local community. Interesting article considering the current global economic downturn. With western migration on the rise it’s unique to see people moving to developing countries to live. I wonder how long this will last? Most of the people I’ve met don’t survive very long. After a year or two excuses often pop up and they head home. It’s easy to say you can live an work in a developing country independently – doing it long term is something else. Overall I see a crack down happening. It’s information like this that’s hard to find anywhere else. Thanks for writing about it. Always a joy to read . My friend’s brother wants to go Nepal and me & my friend searching this details about job in Nepal. Thanks for sharing this, we are very much happy to read your post. Glad to help Tamanna, I hope they find something. Very interesting perspective. I keep thinking about living abroad in a far away place. Thinking my degree will open doors for me in a place like Nepal. Thinking I can help local people and have a better quality of life myself. Do you think this is possible? It seems everyone wants this but end up going home or settling for less. I know it’s worth a try but maybe not if it’s taking a job from someone. Is it really such a dog eat dog works out there? I think it’s tough out there alright. There are plenty of people who will do whatever it takes to survive. Be it copy your work, steal it, or in some cases physically take your business. That said, don’t let things discourage you. Working for an international organisation will give you a protective barrier for long-term employment. If you are unsure, then you can always try something for 6-12 months to get a better idea. No long-term commitments. I think it works well like that rather than telling everyone you are going “forever”. Does the UN really have a large presence in Nepal peace keeping? Not so much with peacekeeping since “peace” was declared. When there are elections they help in monitoring etc. The main role for the UN is with UNHCR (Human rights). Health is another sector as Nepal has some serious issues in term’s of possibly outbreaks and currently endemics. A question if you dont mind! My GF is being sent to Kathmandu to work for Save the Children for 6 months and Im going with her. There’s very little chance of getting a job as a paid masseuse in Kathmandu as a foreigner. You could volunteer for sure. Or if you have a contact at a large hotel in Kathmandu with a spa then there’s also a chance. Normally there’s an abundance of people looking for this work. Sigh… Thanks for the info! I was curious about the medical field over there? I have been a nurse for 25 years and going back to school to add another field to my resume; midwifery. What would be my chances of getting a job? That’s an interesting question. There’s no shortage of doctors in hospitals in urban Nepal. There is in rural as they all leave for the big city or overseas. Nurses are similar in regards to government hospitals. There’s also a bevy of foreign Aid doctors and nurses here working in NGO’s, WHO etc. So it’s a tough field to break into. Best bet would be in the private clinics and hospitals or indeed WHO if you have contacts there. It’s competitive there. Volunteer wise you’d have no problem at all. But getting a “regular” job might be an issue unless you have medical contacts over there already.